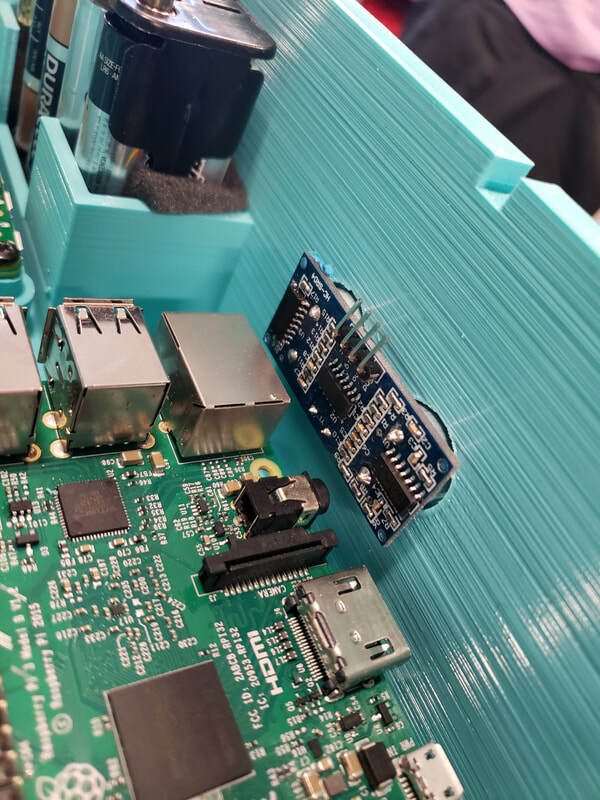 We plan to stream our #PiWars Challenges tomorrow 03/31. If you want to check out our progress head over to YouTube.com and follow my channel, MyITInstructor. Our current schedule is as follows. Times are Mountain Time Zone. Although our robot is nearing completion our blogging will not come to an end....For those interested in following us on our journey across the pond don't go just yet! We will be vlogging our trip!! Not only the competition but the experiences the team has. For those who don't know already, this will be the first time some of the students will be traveling out of the country, and we want to capture these moments! 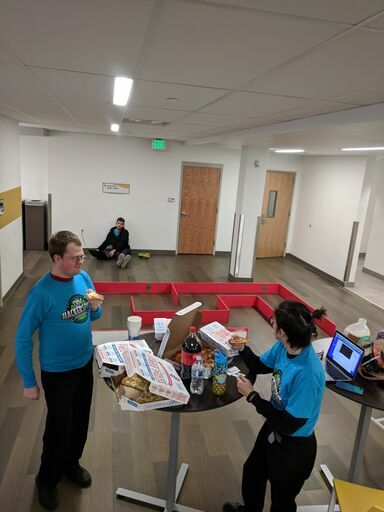 We are so grateful that we are be able to attend PiWars once again and we hope to continue! So by vlogging the trip we hope to be able to create a "promotional" video in hopes of inspiring fellow masterminds to join us for the future competitions to come!! Thanks once again!!! 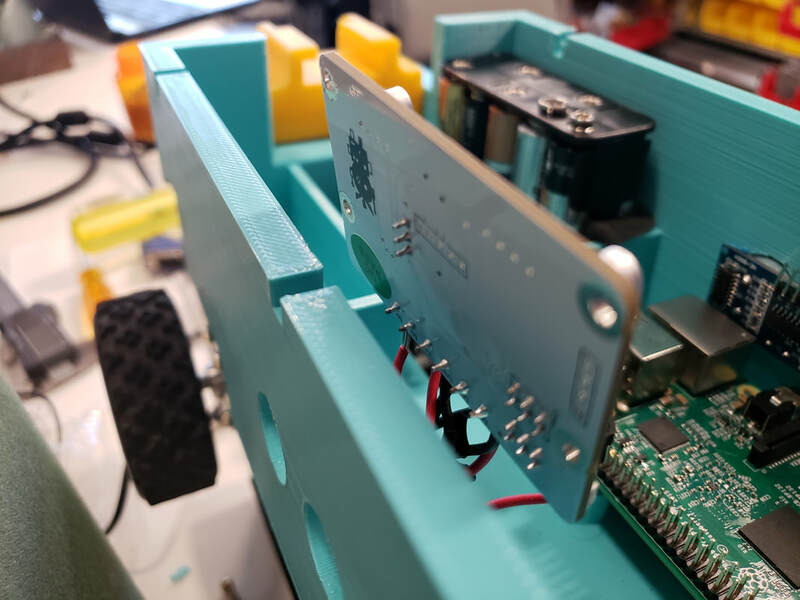 See you soon Piwars2019!!!!!!!! 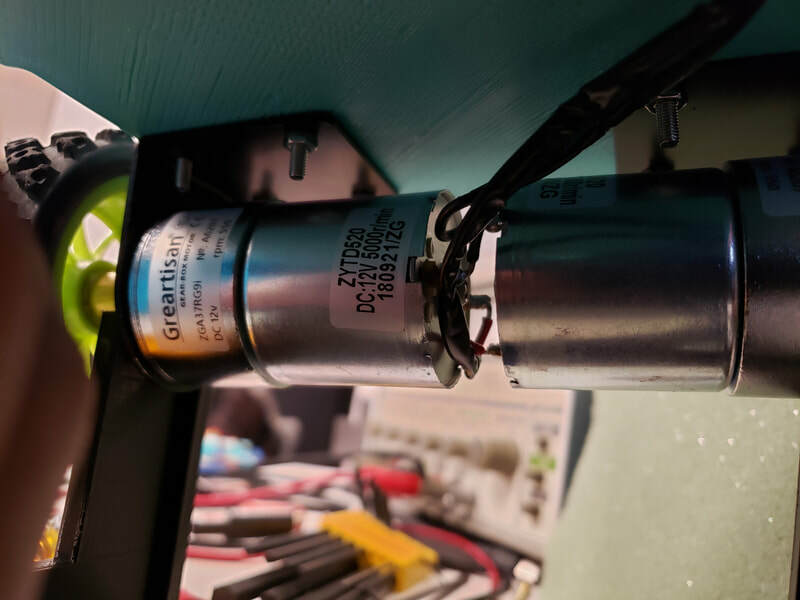 ​When I joined the team I had very little experience with computers and right away I started down the paths to understanding motors, robot logic, and 3d design. 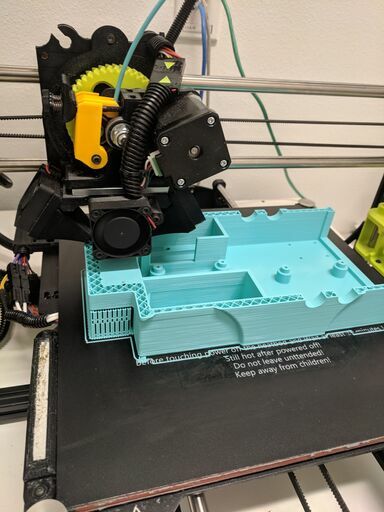 I had only ever dreamed of what a 3d printer could do, and then I was able to use a student version of Autodesk fusion360 software to design with. After watching some YouTubes and learning from mistakes I got to a place I felt comfortable to express ideas fluidly. Now we have a robot that functions with integrated modular parts that came from my ideas straight to plastic reality. 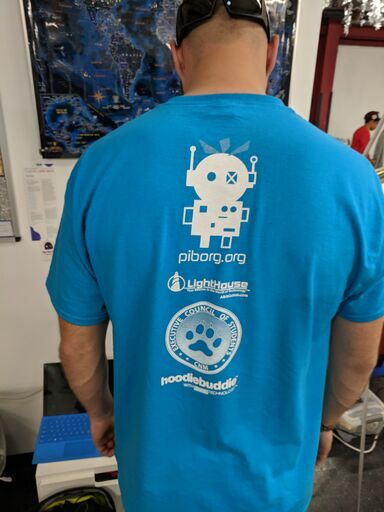 #Piwars2019 is just minutes away....well more like less than 3 weeks and an 18 hour flight away...but that's not the point. The trip is almost here!!!! One of the biggest differences that has been made between this year and last year is how we are handling image recognization. 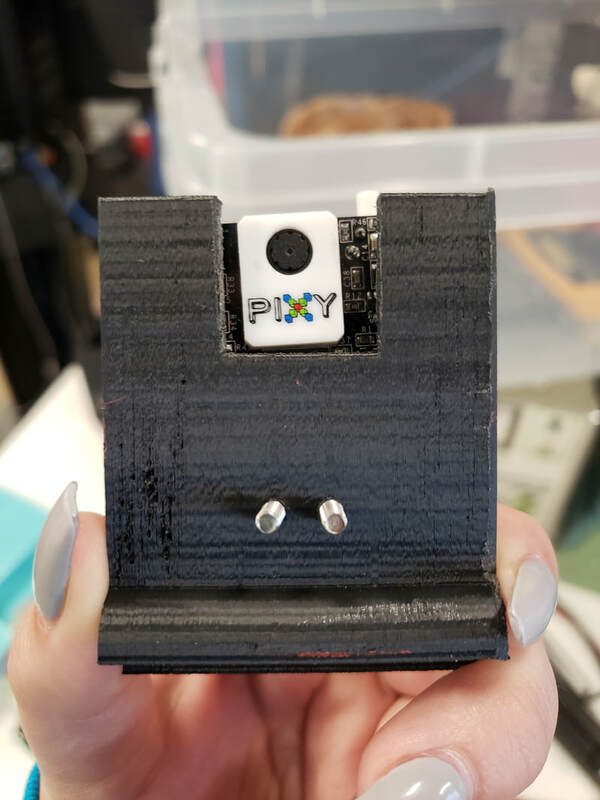 Last year we used opencv but this year we invested in a $60 pixy2 camera. With this camera it took us only one 3 hour session to get line following working. With the base line following that was created, we adapted that and changed the vector data that was given into bloc data. From this we were able to get the nebula challenge prototyped in only one 3 hour session. We used similar methods from the nebula challenge and were able to get a semihardcoded version of the maze done in one session. Although we do have prototypes of all three automatic challenges done, we are hard at work improving all 3 of them. For the line following we recruited fellow student Jack (Who has helped us throughout our build) and he was able to refine our code into much more consistent results. 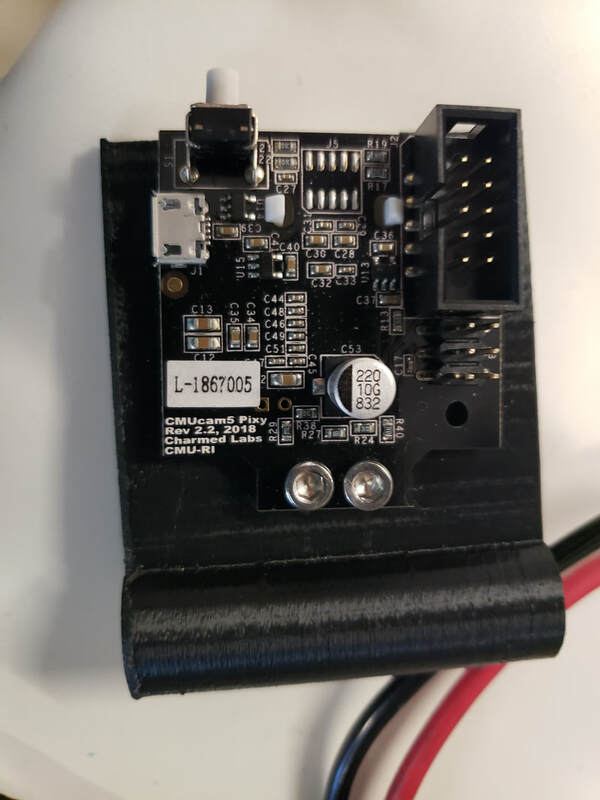 We are currently working on incorporating ultrasonic sensors into out maze algorithm. 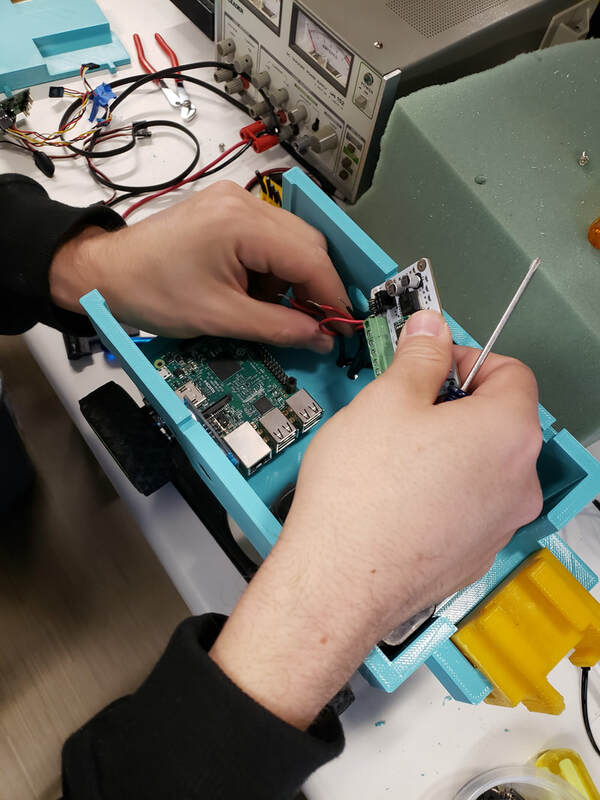 Here's Paul working on connecting the motor to the motor controls....Let's just say he was having a hard time connecting wires. 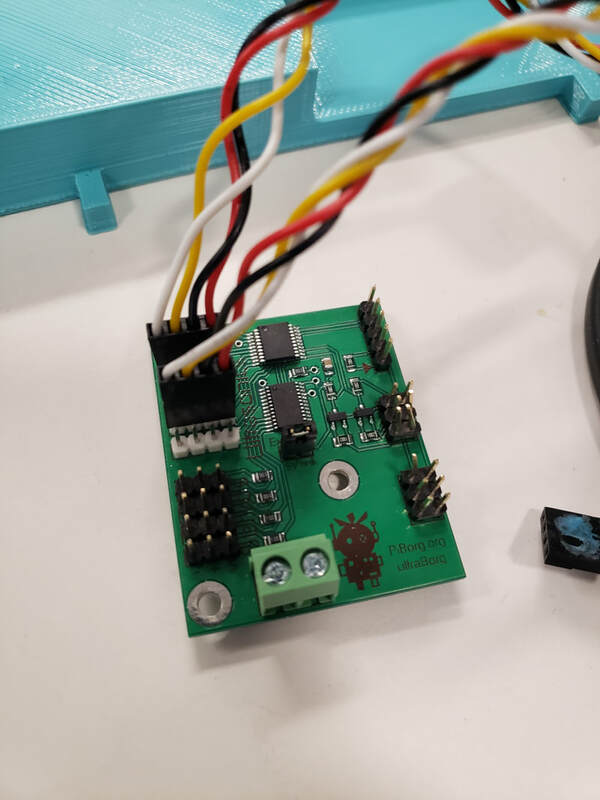 This is an UltraBorg - PWM Servo Control w/ Ultrasonic Sensor Support! 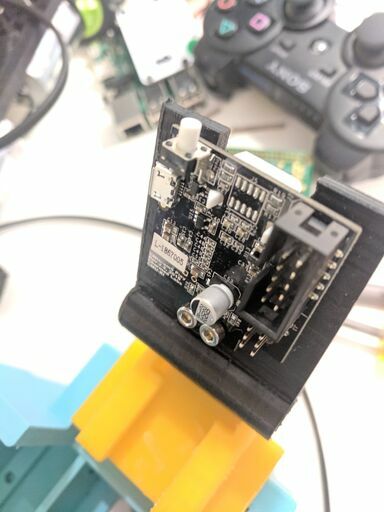 We used the Ultraborg to control our custom fitted sensors! 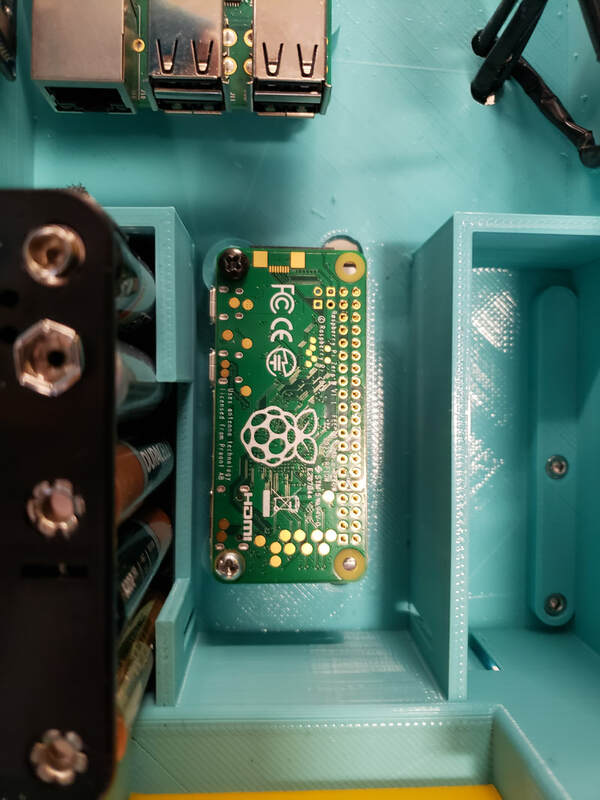 Last but not least we have our RaspberyPi Zero we are using the zero to do our lighting!!!! 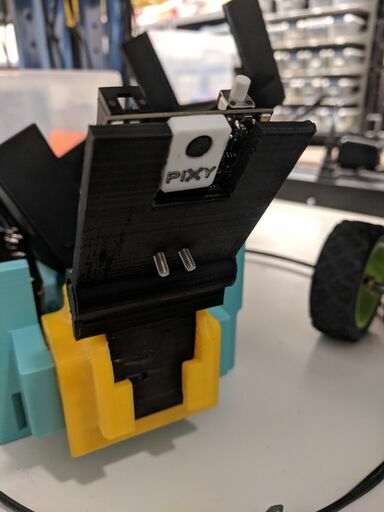 Just a little update on the components of our robot..To start we have our Pixy cam. This little guy has made a huge difference compared to last year. 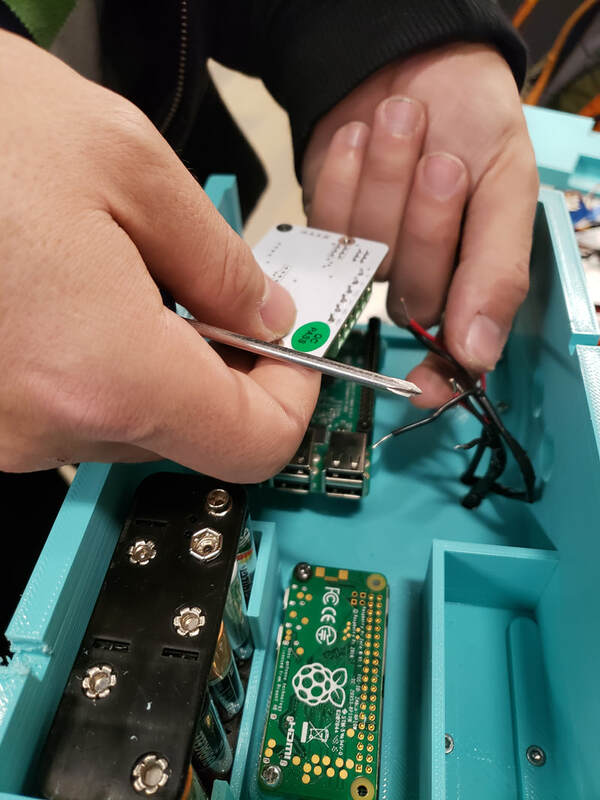 Jimmy was able to learn/translate programming that enabled us to move though challenges much easier...of course with a few mistakes but not s much as last year!!! 10/10 would recommend using. As Paul was transferring everything to the new chassis... 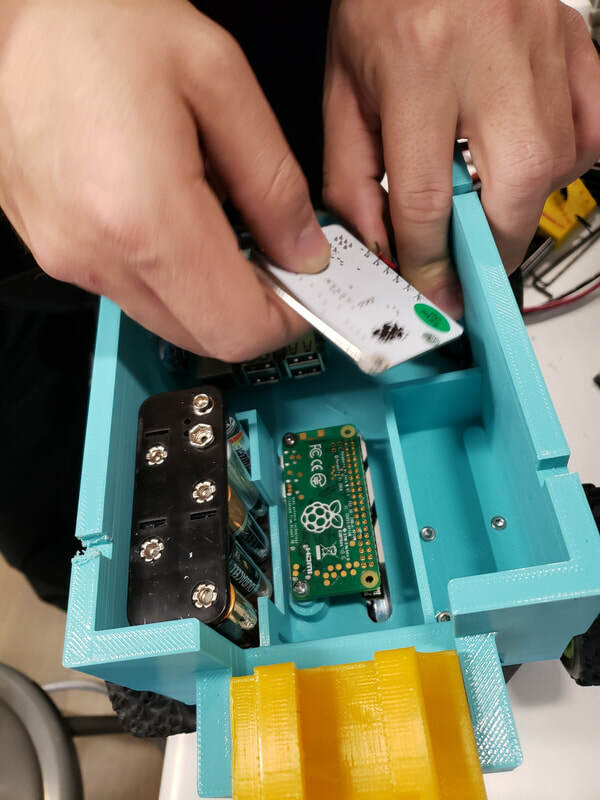 I thought..."what a good time to list all the components of our robot!" 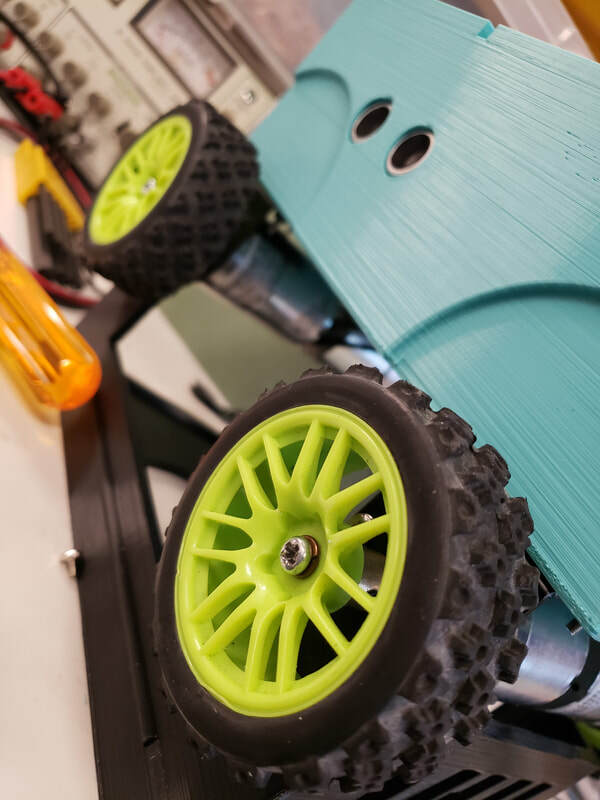 To start we have our Motor Control, Motors, and wheels! 10/10 would recommend. Wheels: TopNotch3000....just kidding we got these last year and we have forgotten what they are but we know they are RC wheels we got from amazon. 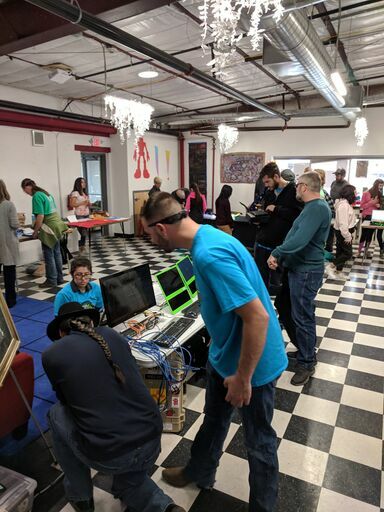 Today we were invited to Meow Wolf to participate in a micro controller showcase. 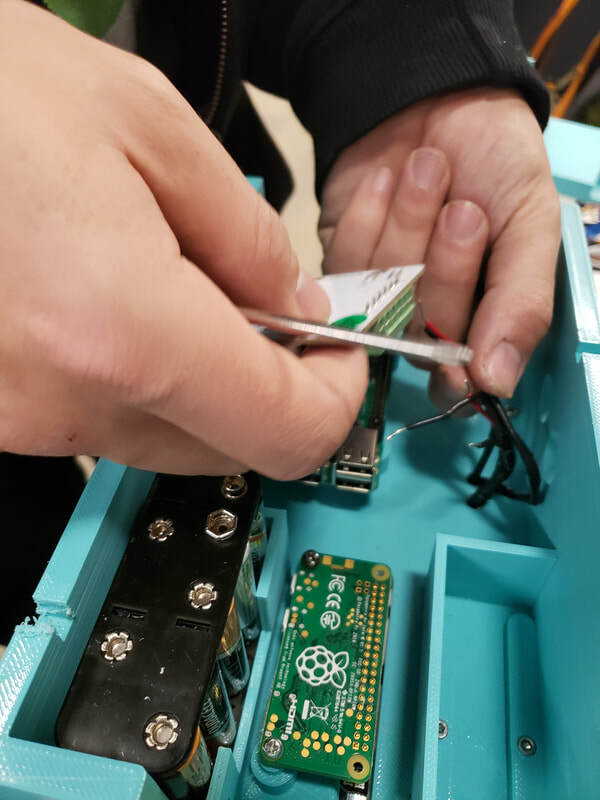 Mr Bruce and a team of Students traveled to Santa Fe New Mexico to share some of our HackerSpace activities, including HAL3000. 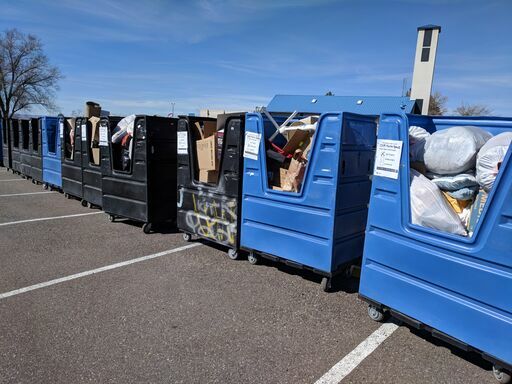 Students participating in the outreach were, Paul Judge, Stephanie Perez, Dalton Pierce, and Marlan Ball plus CNM Faculty member Rob Garner joined in on the fun. 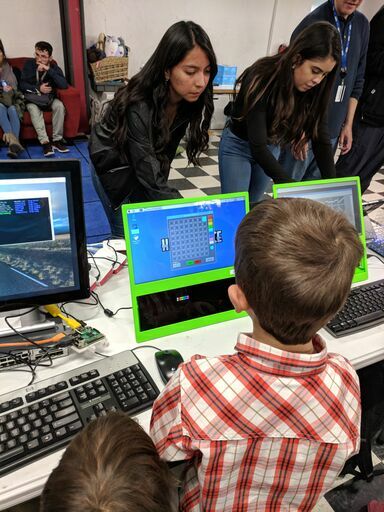 In addition to sharing HAL3000 we demonstrated our Raspberry Pi based super computer, our student built 3D printer, Marlan's awesome LED cube, and Sense Hat animation activity. All demonstrations were well received and the students had a lot of fun sharing and exploring Meow Wolf exhibits. 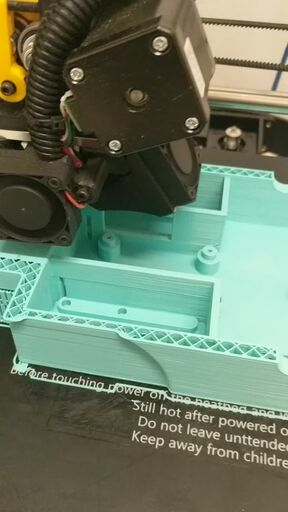 Our chassis is finally printing...soon enough we will be putting it all together! Cant't wait! Paul Judge spent a lot of time designing the new look. 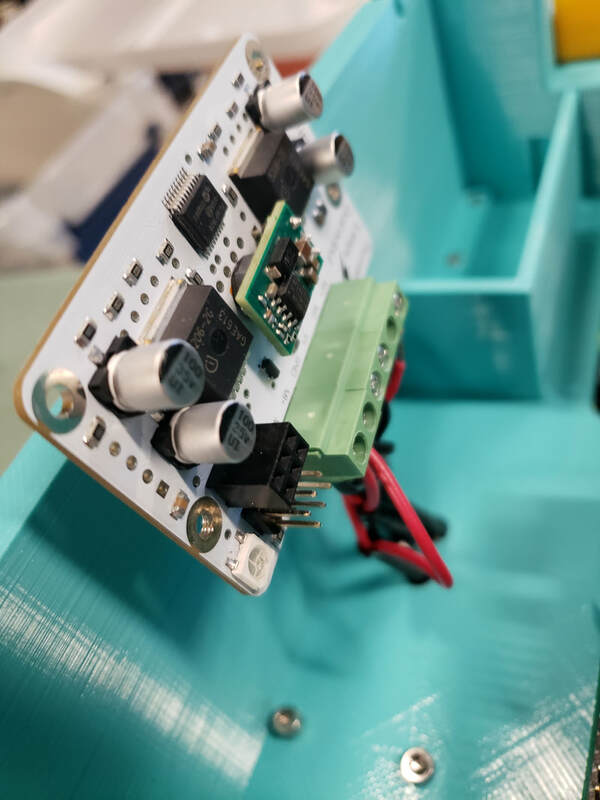 He put a lot of effort into learning how to 3D design and then put his skills to the test with designing the new chassis. Starting from Left to right we got Paul in the back, Steph in the front left jimmy in the middle, Me (Abby) on the right and Mr Bruce. Unfortunately Dalton couldn't make it to the meeting that we took this at. We are getting so close to the trip!!! 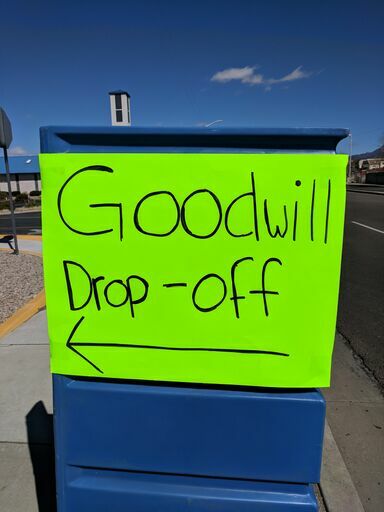 You know what that means!? Time to start getting homework for the classes we will be missing!! Totally worth it though. In other words the team will be attending the official CNM travel meeting in a couple weeks. Everyone one has plane and train tickets, hotels have been booked, travel insurance has been purchase, arrangements for museums have been made, and last but not least....restaurants have been chosen! Fun fact the team as whole love to eat so if you have any great food places to recommend let us know!!!!! Look What Mr. Bruce Built for us!!! 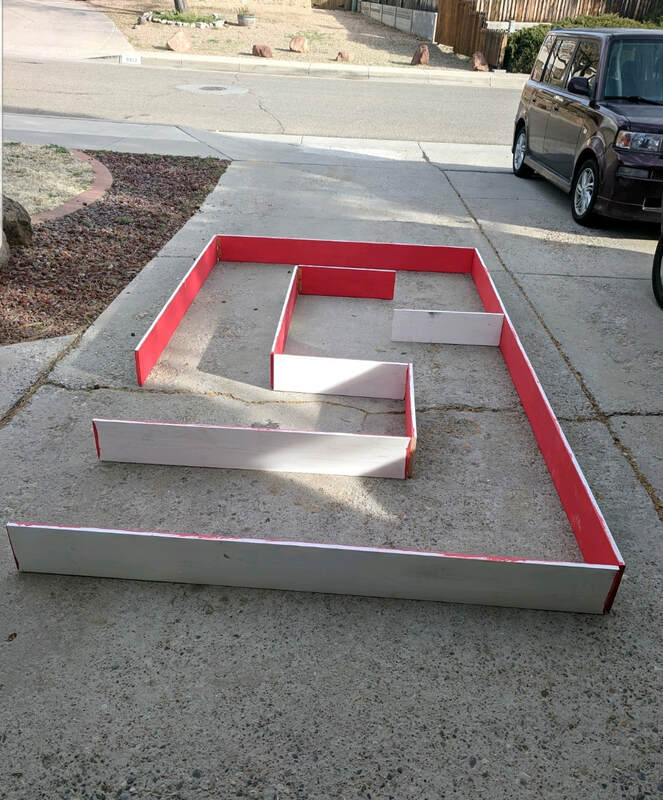 Our maze is built and being tested as we speak!!!! Videos and photos coming soon!!!!! Check it out!!! 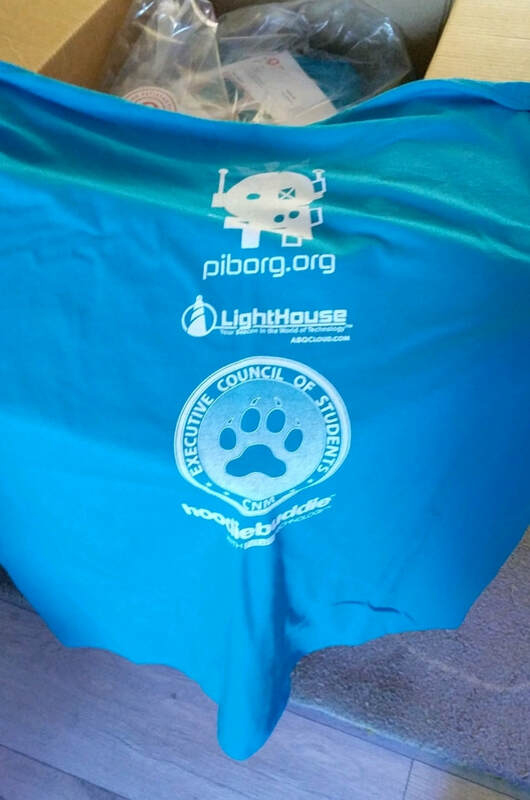 WE GOT OUR SHIRTS!!!!!!!! We have a proper mount for the pixy cam don't worry....This is a throwback to a couple weeks ago. Note the awesome duct tape work! Keep an eye out for the team member posts! within the next week each member will take over the blog and write about what they've been up to this whole time.... 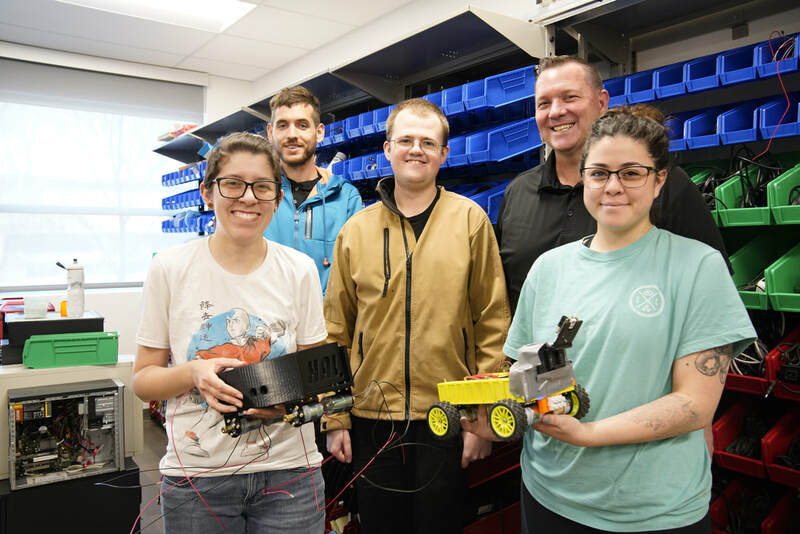 If you haven't already noticed our blog is a bit different from the others....This is because the Biology major volunteered to follow the team of CIS majors around.....HAHAHA I have no idea what's going on but, I'm having fun. 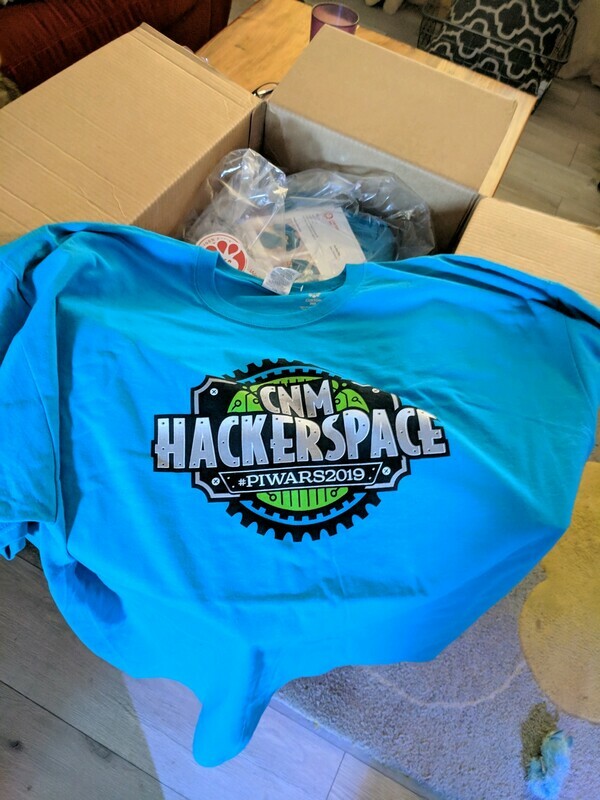 Okay so maybe not that kind of famous...but we like to think we are cool.... CNM Marketing came to our Friday HackerSpace meeting to interview us for an article about the #Piwars2019 team! How awesome is that!!! Check it out here! Another quick run of the Hubble Telescope Nebula Challenge!!! This time with a whole new set up...we actually have the painted platforms with what we can only hope is close to the British Standards!!! We had a couple issues when we were getting the camera to calibrate to the colors...for some reason it didn't like yellow. After we got it to work the way we wanted. 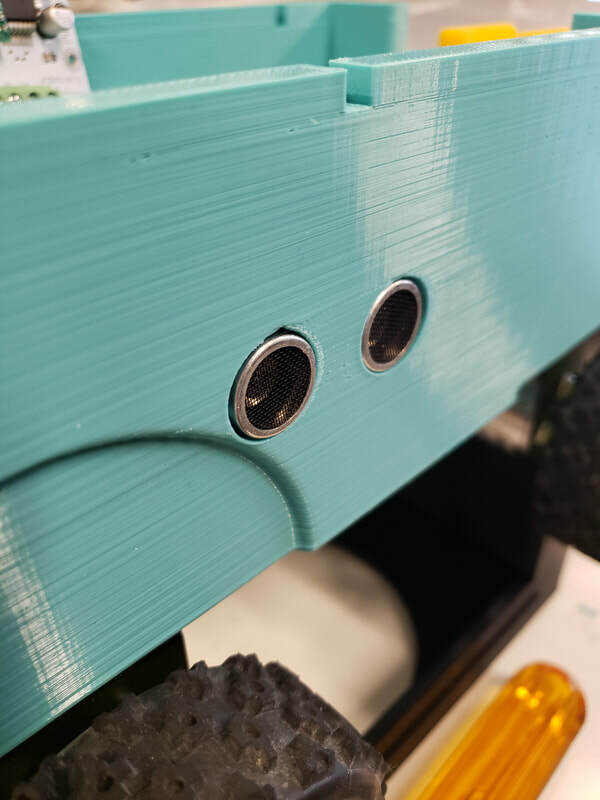 We decided to adjust the camera at a different angle , in doing so Dalton reset the camera and we had to start all over again....I think we are done for the night!!! Thought a quick break is much needed. Check this out, totally awesome!!! 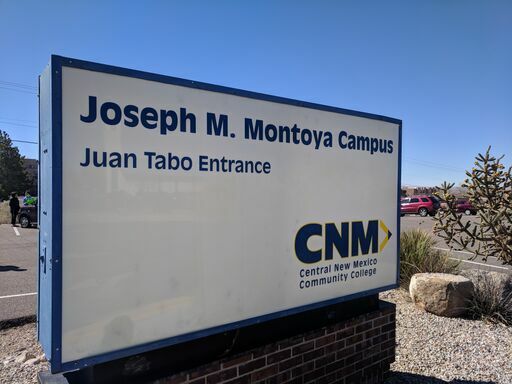 My name is Abigail, I'm a CNM student currently in pursuit of a biology degree. 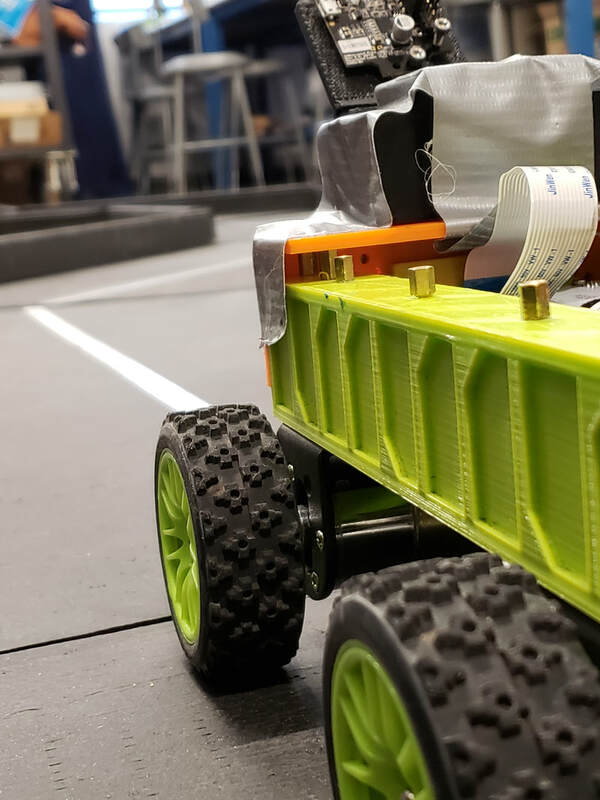 My current role in the team is to clean up/organize the lab, blog/take photos, and I'm one of the drivers for our robot.